Sequoia National Park bed and breakfast travel guide for romantic, historic and adventure b&b's. 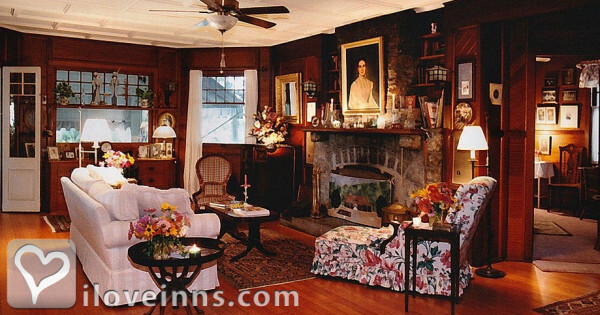 Browse through the iLoveInns.com database of Sequoia National Park, California bed and breakfasts and country inns to find detailed listings that include room rates, special deals and area activities. You can click on the 'check rates and availability' button to contact the innkeeper. Visiting and touring the state of California without getting the chance of going to Sequoia National Park is missing something important. Sequoia National Park is not just a nature reserve or a home to the state's endemic wildlife; it is actually its symbol. This is the reason why tourists coming to the state should book themselves reservations at Sequoia National Park bed and breakfast inns. Sequoia National Park is home to gigantic trees that are thousands of years old. From one of the Sequoia National Park bed and breakfasts situated just nearby, tourists can hike to the forests and wooded areas. They may visit Giant Forest or Moro Rock, which is an amazing geological formation. They may also go to the Mineral King Valley for an adventure. Sequoia National Park also offers exciting locations ideal for fishing, such as Hume Lake. For avid skiers, they can proceed to the North Grove Loop Trail and South Boundary Loop Trail. By Plantation B&B.